If you like good views, great food and adorable dogs, this is the café for you! 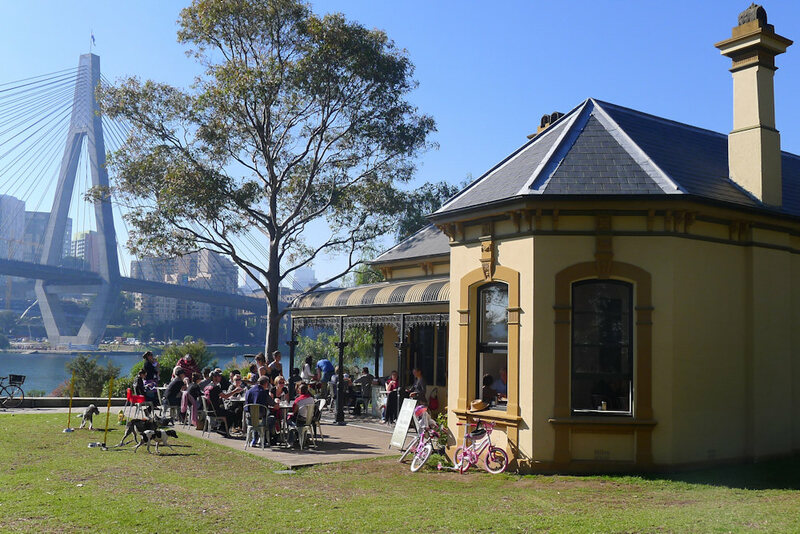 Blackwattle Bay café sits on the water’s edge in Glebe, across the bay from the ANZAC Bridge. 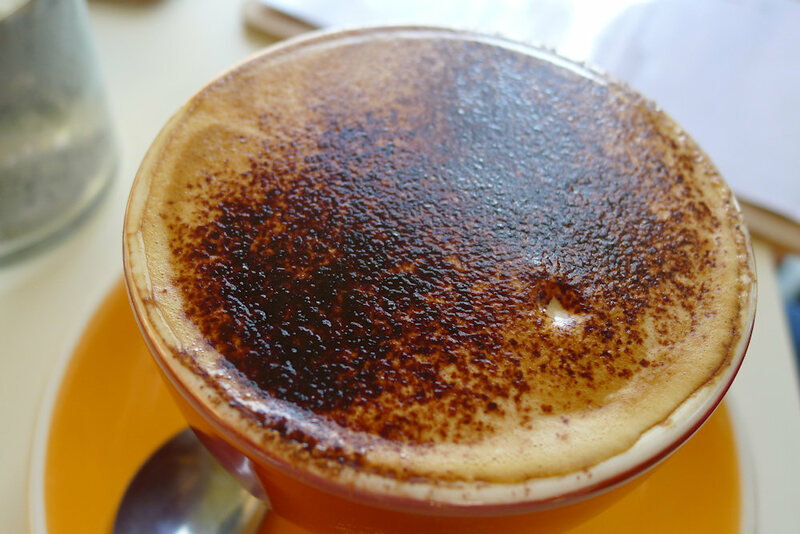 It is still a relatively new addition to the Glebe café scene but word is spreading fast. We incur a short wait until a table outside frees up. There are plenty of tables inside too but we don’t want to waste the gorgeous sunshine. April orders a house blend of soy chai latte ($4). It’s fluffy and aromatic. Delicious! 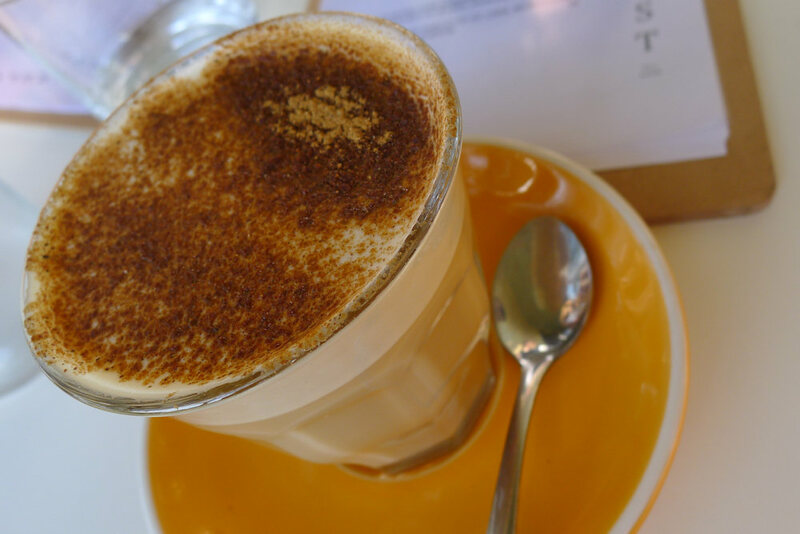 We order a range of coffees that arrive in egg yolk coloured cups. 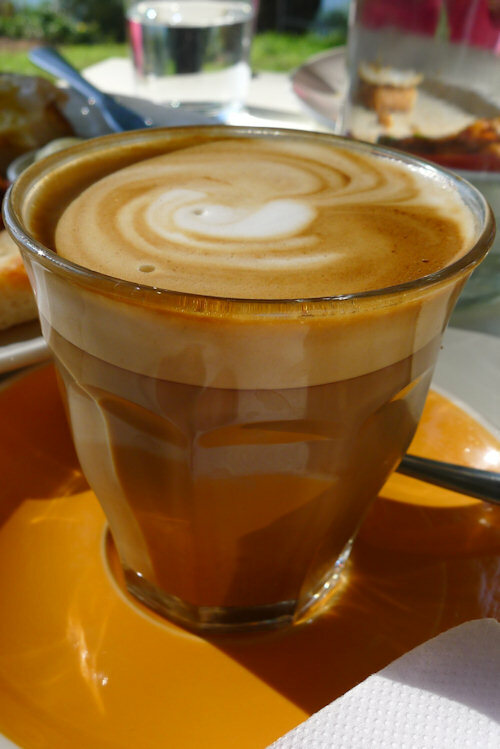 They’re well priced at $3.30 (large $3.80, soy, decaf or doubles, add and extra 50c). They taste great and add great colour to the table. One of our guests is tempted back for more coffee and orders a latte. 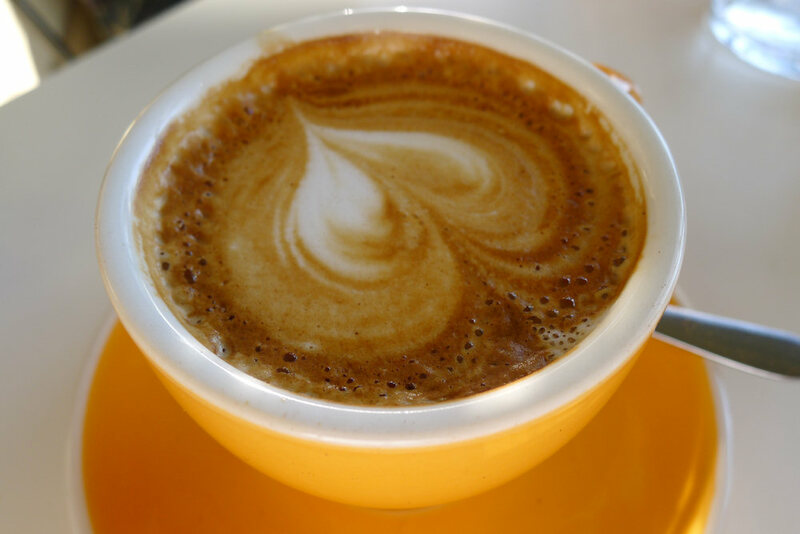 It tastes great and he admits it’s indulgent to have two great coffees in one sitting. 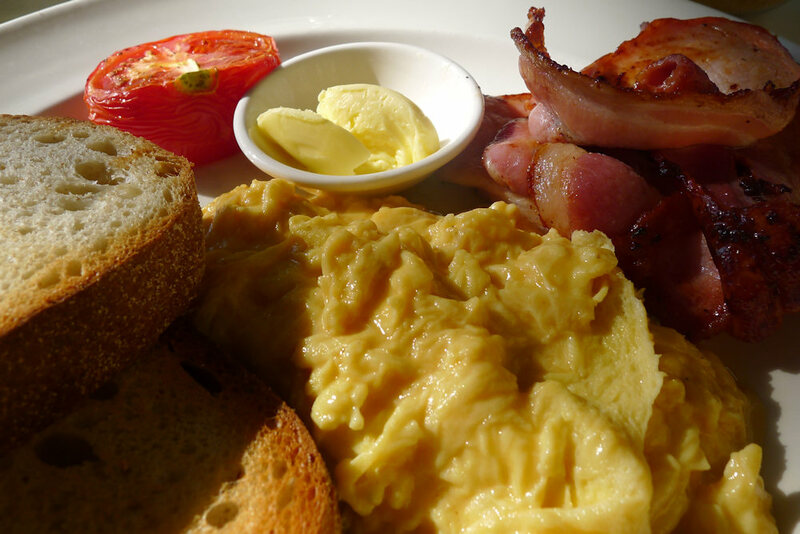 It’s hard to fault Blackwattle’s scrambled free range eggs with toast and tomato ($11) with bacon ($4) as we gobble it down. The ingredients are of a high quality and it’s nice to have the butter on the side. April is impressed with Andy’s baked beans on toast ($10). There are a range of beans in the mixture, we can spot at least three by looking at the photo. 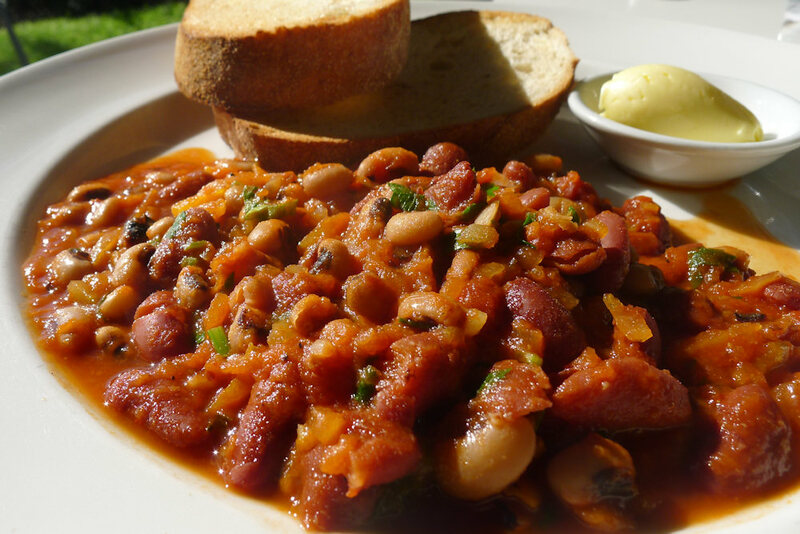 The beans were moist and delicious, a great option for vegetarians! 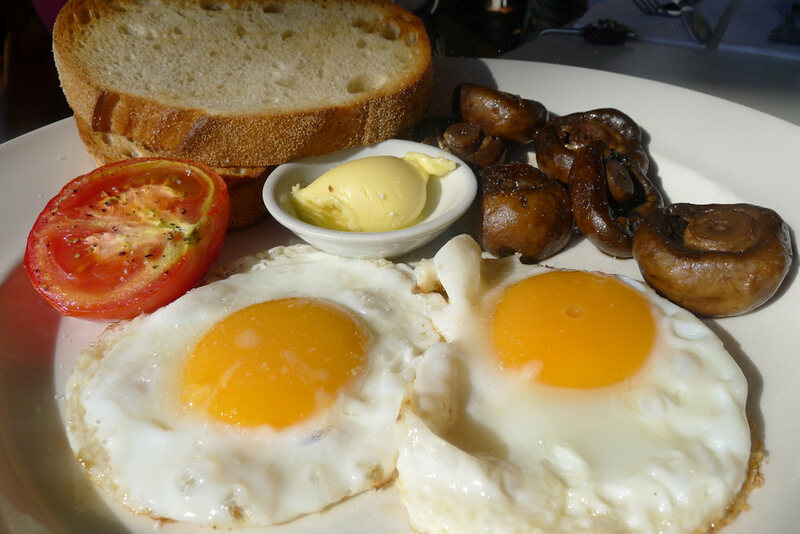 “The eggs are just eggs” says one of our guests of her free range eggs with toast and tomato ($11) with mushrooms ($4) on the side. Although that’s true, the source of the eggs and the chef preparing them can hugely alter the result. By the end of the meal there’s nothing left which is a good sign. She continues to rave about the mushrooms which were fresh, succulent and lightly seasoned. 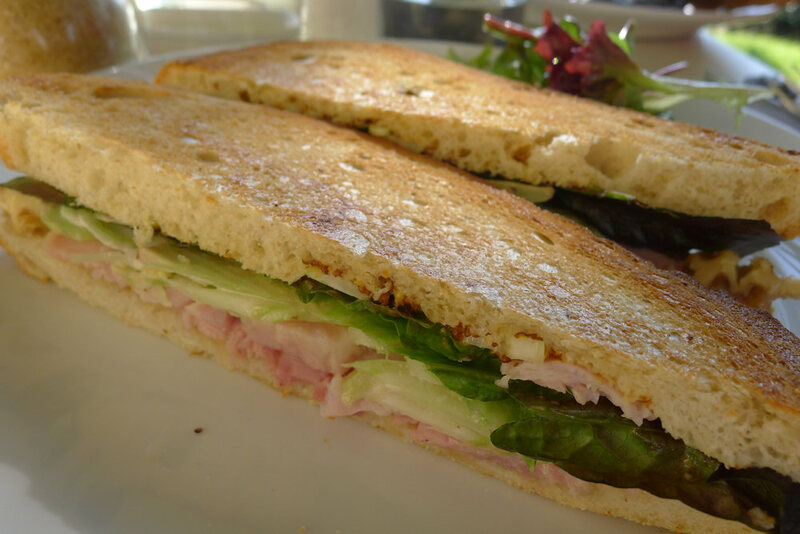 Something we hadn’t tried before was the toasted ham sandwich with walnut and celery remoulade ($15). The bread was thin, fluffy and lightly toasted with a generous layer of ham inbetween. 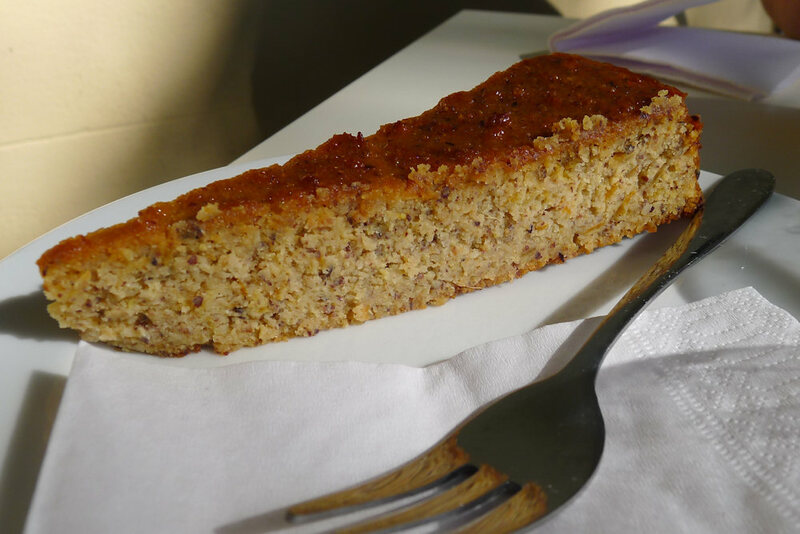 The celery flavour is not overpowering at all and works well with the seeded mustard. This is a nice alternative to the standard melted cheese sandwich and very light on the palette. 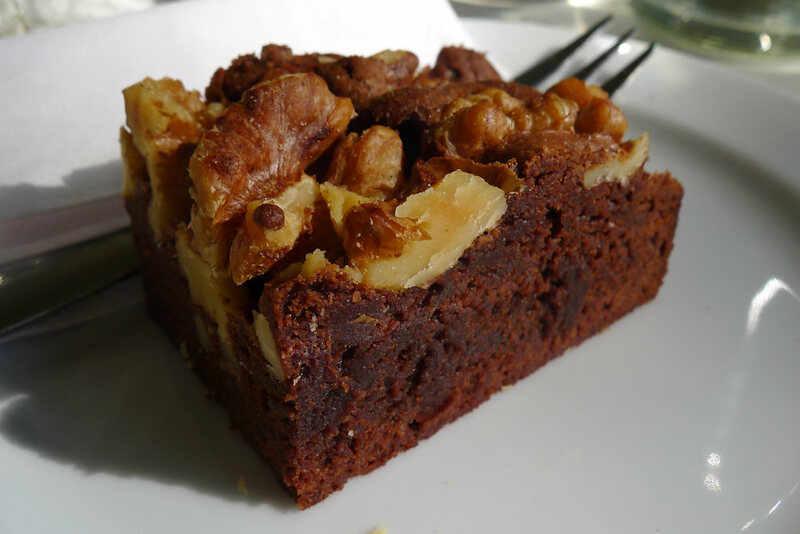 … heavenly, moist chocolate and walnut brownie with chunks of chocolate hidden inside. April leaves with a smile on her face (and can hardly walk by this stage). Today, dogs and children are everywhere. The café offers poles away from the tables so you can tie your pet nearby. They even have a Dog of the Week on their website: http://blackwattlecafe.com/links/dogs. We love it! It’s ironic that when reviewing a café with one of the smallest menus we’ve seen, that we reviewed so many dishes but we’re obviously now in a great position to say that we were impressed with the quality of everything that was served. Although some of the waitstaff seemed a bit too relaxed there were no major hassles with service. The view and location (especially on sunny days) are hard to beat and once you sit back with a paper and a great cup of coffee, you’ll find it hard to leave. 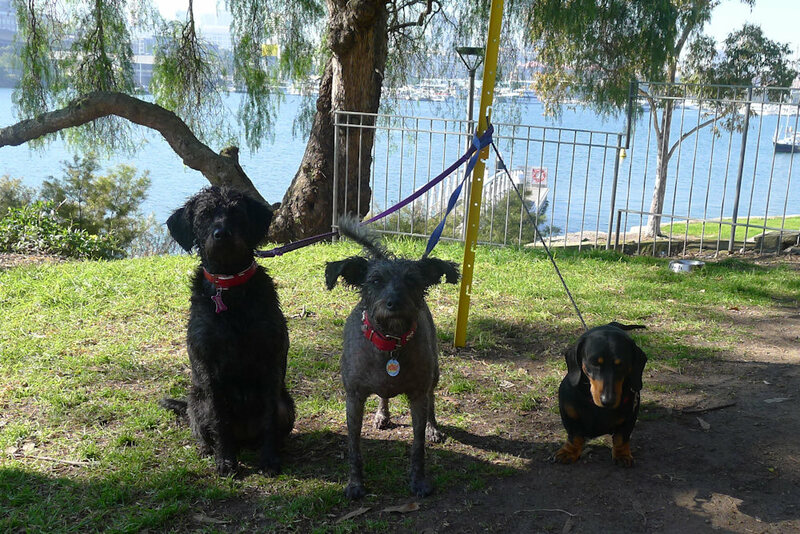 This entry was posted in Sydney - CBD, Sydney - Inner West and tagged Dog friendly, Outdoor seating, Water views. Bookmark the permalink.